The best screens to be found are LG OLED 4K HDR TV‘s. Everyone else is playing catch-up to LG OLED TVs right now and the 2017 lineup is great. Sure, they might cost a lot, but with a 4K Ultra High Definition screen, High Dynamic Range and millions of OLEDs these are pretty much the best TVs you can buy. Watch out for deals during the holidays as there area big money deals to be found. The Sony PS4 Pro is our pick for the console you should have in your ultimate home entertainment system. It has great games, fantastic graphics, plays Blu-Rays, runs all the streaming apps you could want and is about as future-proof as you can get right now. We can live without a satellite box but not without our beloved Sony PS4 Pro. VR is still taking baby steps but the easiest way to give it a try at home is to simply plug this Sony set into your existing Sony PS4 Pro. While other VR headsets are available and can be great Sony hits the sweet spot between simple mobile device systems that are limited and PC based systems that can be fiddly and might require an expensive PC to work well. So give this PSVR + Camera + Move Controller bundle a try and enjoy, the experience will only improve over time. Have a great TV but not enjoying the puny sound it gives out during a big blockbuster movie? To put it simply, the Sony HT-ST5000 Soundbar is fantastic. It has all the latest features, all the connections you’ll ever need and it doesn’t take up too much space. Oh… and the sound… it’s so good it’ll have you looking around the room to find out where all that sound is actually coming from. If you’re looking for a headset rather than some good speakers don’t worry, Sony have also worked their magic in this category too. The Sony PlayStation Wireless Headset is so good it somehow fools you into thinking you’ve paid for a surround sound system. They are comfy and reasonably priced and for us they are just great all-round headphones. The one remote to rule them all. The Logitech Harmony Remote is the cream of the crop when it comes to universal remotes. This thing can control just about any AV gadget you can get your hands on and looks great doing it. It doesn’t take too many remotes before you have too many, but we’d use any excuse to have this in our house. Not only will the mini touchscreen help when you are sat in a dark room but this thing works with Amazon’s Alexa, and with Philips Hue smart lights so it truly is a universal remote. With all the sleek, wireless devices on our list the last thing you need is to be sat watching Netflix buffer that 4k movie that you’re dying to watch. Trust us, a router can make a big everyday difference to the Wi-Fi in your home. For data-heavy applications we’d still say try and run a cable if possible but we know that’s not always possible. That’s where the Netgear R9000 Nighthhawk comes in. This is one of the best routers you can buy – period. It can handle loads of devices simultaneously, has a great range and all the features you’d expect of a high-end router to keep all your connections. 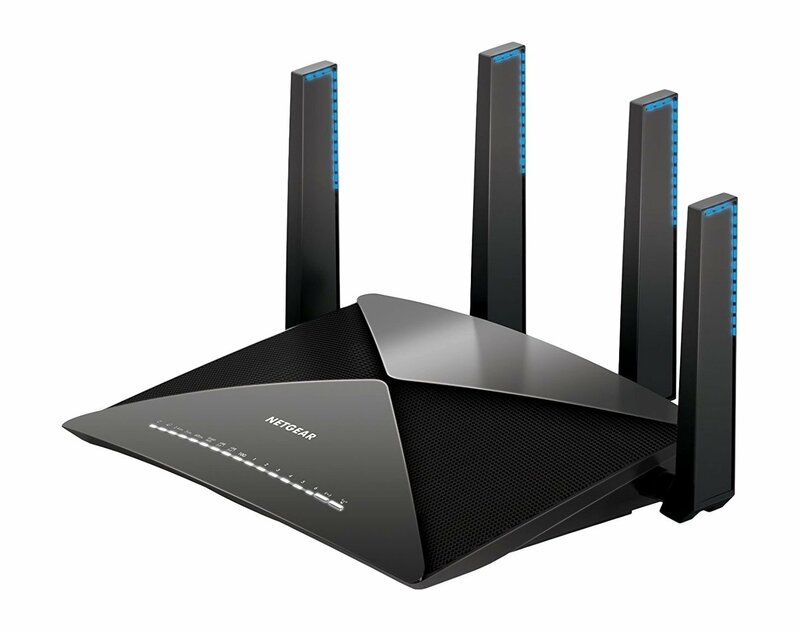 Oh, and it’s probably the coolest looking router we’ve ever seen too! This might not be top of your home entertainment needs but mini-fridges are available for not much money and still seem like a luxury so it’s win-win in our book. There are loads to choose from and you can even get USB powered coolers. Whether it’s mid-movie, halftime in the game or during a quick cut-scene, well… you can thank us later. 1, 2, 3, 4, 5, 6, 7, 8, 9?? Yet more Comic Relief news!